Leading Manufacturer of stainless steel precision weights from Kolkata. Stainless Steel Precision Weights offered by us, are manufactured with a full line of premier standards that conform to all the required legal specifications. Our weights are strictly checked in a climate-controlled environment, and are supplied with a certificate of traceability. These are know for their sturdy construction, accuracy and easy handling. 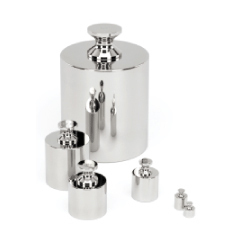 Looking for Stainless Steel Precision Weights ?